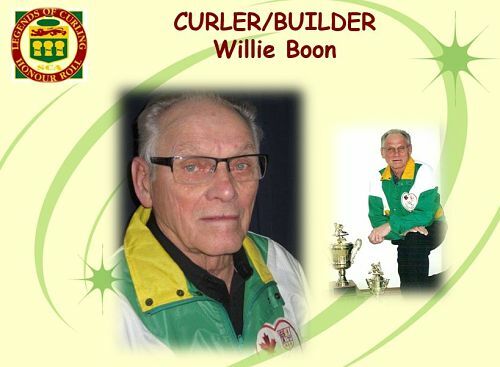 Willie Boon has curled at the Lucky Lake Curling Club since he began curling in the 1950’s. He continued to curl and volunteer his time at the club until 2011. Willie curled in bonspiels and playdowns throughout his career but it wasn’t until he began curling in Senior Playdowns that he made his mark. He curled in 7 Provincial Championships. Three as a skip and four as the third for Doug Wankel. They never managed to win a Provincial Championship but came very close on more than one occasion. Once Willie was old enough to curl in the Masters Competition he continued to qualify for the Provincial Championship and finally ended his Championship drought. In 1997 and 1998 playing Third with Doug Wankel they won two provincial Masters titles. Also on that team was Second, Horace Wankel and Lead, Vern Vallevand. In 1998 they won the Western Canadian Masters Championship. This was followed by another Provincial Masters Title skipping a team made up of Doug Wankel, Orest Wankel and Elliot Prentice in 2004. 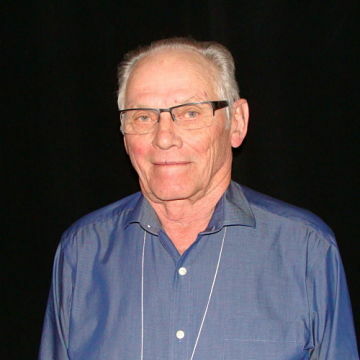 Willie was also served on the Lucky Lake Curling Club Board from 1961 to 1987 and was involved with building the new rink which was completed in 1987.